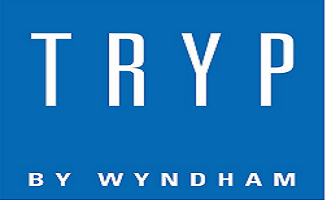 Think Makati, think Ayala land. Without both would be unimaginable.Thanks to Ayala Land, the first centrally planned community in the Philippines was established in the 1950's which served as the backbone of the Philippine economy. 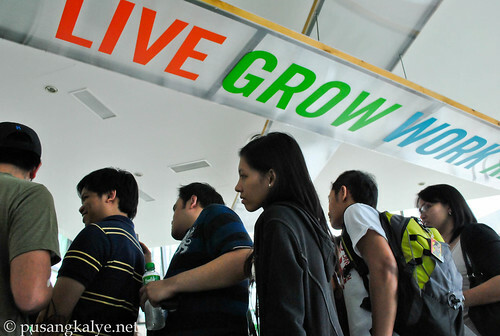 Without it, life would have been more difficult for the average Filipino. And the legacy continues. Through the years, Ayala land has committed itself in developing more urban communities, strategic landbank management, residential development and shopping centers of the future. 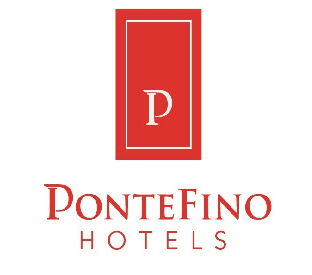 Among its big projects are growth centers like Bonifacio Global City (BGC) and Cebu Business district to name a few. Ayala Lands commitment to sustainable growths is again manifested in its pet project in Laguna named NUVALI ---an evoliving community dubbed as the next Makati of the South!!! 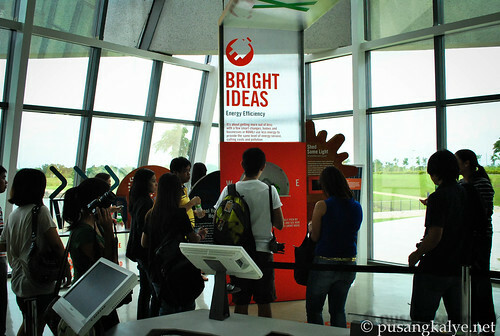 Our first stop is the Bird sanctuary located in the Southern tip. It is famous for bird watching. 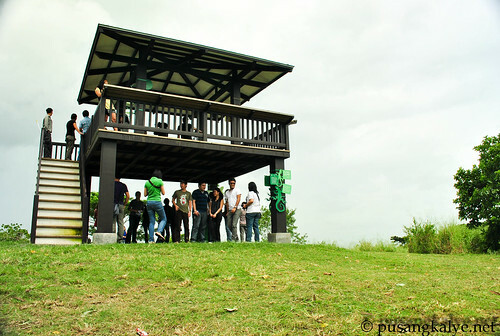 Nuvali has created what they call the GAZEBO to serve as an observation deck.We came at around 10am so it was a bit difficult to spot the birds in the surrounding grassland and tress. We were told that the best time of the day is in the early morning or late afternoon as that is when the birds come out to feed. 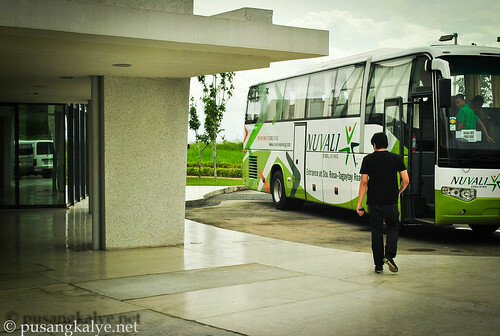 Nuvali’s first phase includes three residential communities-- Abrio, Treveia, and Avida Settings. 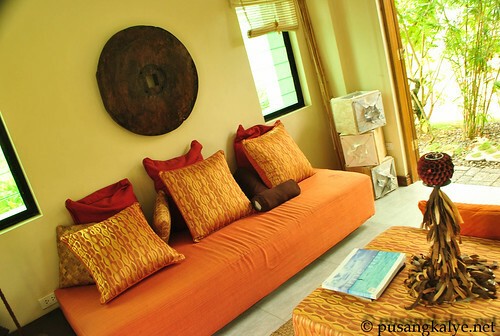 We were toured inside the Avida community to get a glimpse of what a house with green features is.You'll get ideas about cement flooring , double wall system, intelligent ventilation. This kind of house is energy efficient. 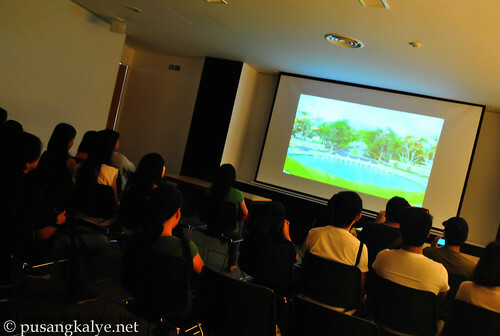 We were then taken to the Evolving center for a a short video presentation. 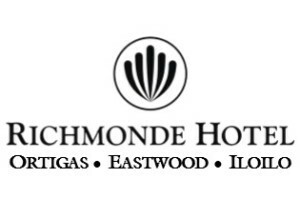 It was here that I found out that the development is in partnership with the Yulo family. Mr Jayce, the one in charge of the tour also gave us a rundown of the different concepts of sustainable design for evoliving..
Ayala Land has put emphasis on environmental sustainability---water conservation systems built into core infrastructure, advanced waste management and recycling systems, road networks with dedicated bike lanes and walkways, privately managed eco-friendly mass transport systems, energy-efficient equipment and buildings,.Approximately 50 percent of the residential areas will be devoted to open spaces---this is what a community should be. 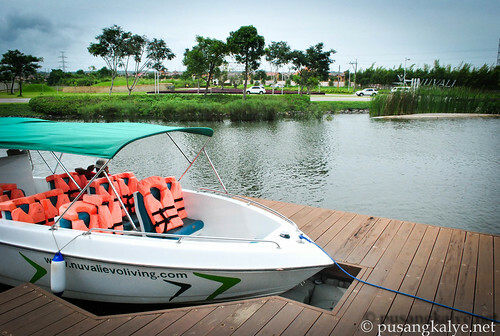 Another concept I like about Nuvali is the use of water taxi. 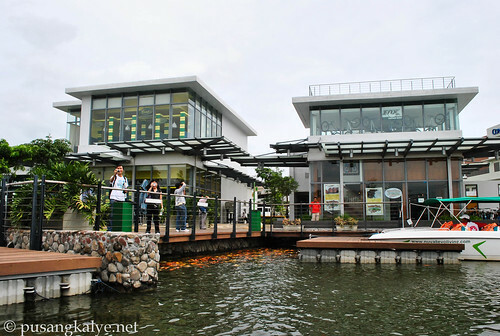 There is an artificial lake at the heart of the business district which they call EVOZONE and the water taxi is a good way to cross the lake. It was a few minutes of fun ride s to our next destination -- the retail center. The retail center is where you can find shops and fine restaurants. The first thing we did upon stepping out of the water taxi is to feed fish. 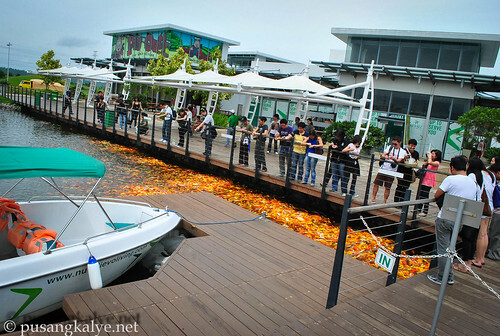 After feeding the fish, it was the time of the bloggers to get food. hahaha. Since there were around 30 of us, they devided us into 5 groups. each group were assigned a particular restaurant. 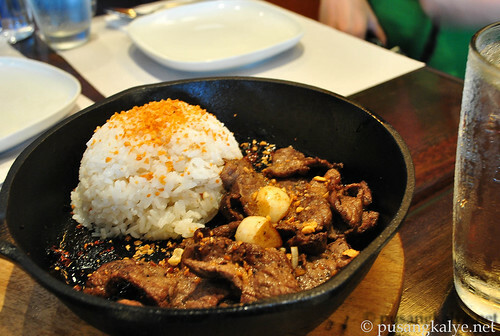 We were designated to eat in Kanin Get It. My first to hear the brand. Good thing the owner/ manager of the branch was generous enough to talk us out of the inspiration and concept of the restaurant. They basically serve Asian food. I will be making a separate post on this one.  Watch out for it soon. 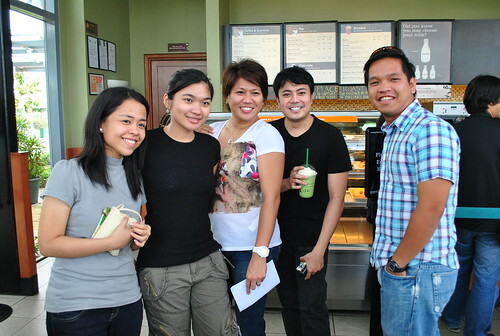 After having our fill of delicious Kanin get It food, we moved to Starbucks for coffee. This is where we waited for the other groups. 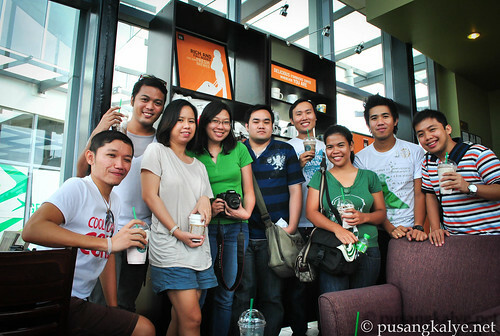 The waiting provided the opportunity to socialize with the other bloggers who I met for the 1st time. 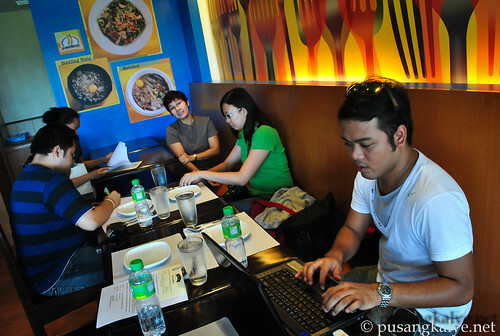 I was particularly happy to personally meet Ms Lace http://pinaymoneymaker.com/ , Jonel uy ( bloggermanila) Jeff Sy (http://boy-kuripot.blogspot.com/ ) Alex, recyclebinofamiddlechild ,. Flow (http://angsawariko.com/) and Cath http://www.chinesenamakulit.blogspot.com/ . Thanks Ayala land for inviting us over. And thanks to Jayce and his team for guiding us throughout the tour. Special mention to Jed who waited for me in Ayala Makati after I missed the bus and Ms. Jigs for taking care of team 5!!!!yihhh. 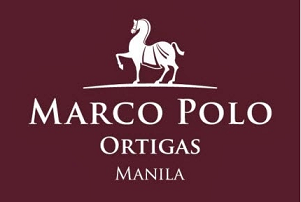 How to get there: From Makati -take South Luzon Expressway.Exit points: Exclusive access at Mamplasan, Sta. Rosa- Tagaytay Road, Malitlit (Asia Brewery) and Silang. Pupunta rin ako jan tutal malapit lang sya. napakaenviron friendly.. and i loveeeee the water taxi..
tsk tsk ang layo sa baguio sana mapuntahan ko..
yun oh.. hehehe dapat pala sumama ko dati ung inivite ako ng mentor to go there... pero oki lang parang nakapunta na rin ako dahil sa ganda at cool ng mga shoot mo bro!!! wow astig naman ng gala nitong pusa nato ayos pala dyan sa nuvali! Ang lapit lang nyan 1 ride lang sa Buendia! jasonhamster ---puro ka talaga kalokohan Jason--but who knows. diba instant youtube sensation ka na nga? hahaha. ganda naman jan. sarap suminga este huminga jan. 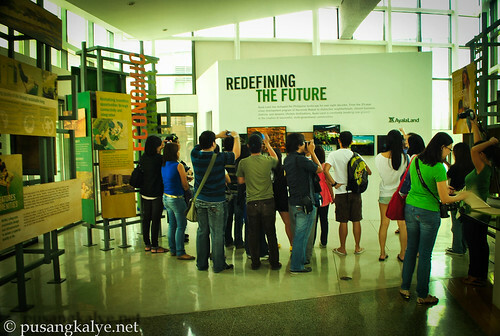 There is so much buzz about Nuvali and it gain publicity when it was featured in Miss Earth 2009 since its enviromental-friendly aims... 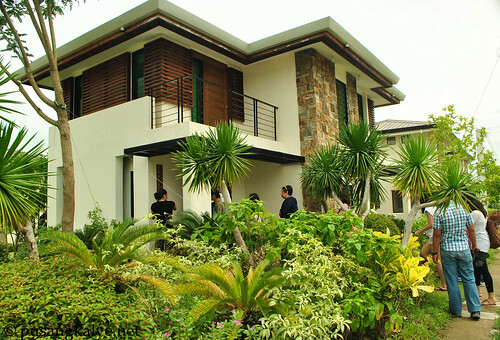 It seems that Ayala is building a estate houses with green style living. Huwaw! jaw dropping yung mga shots mo parekoy sa Nuvali. 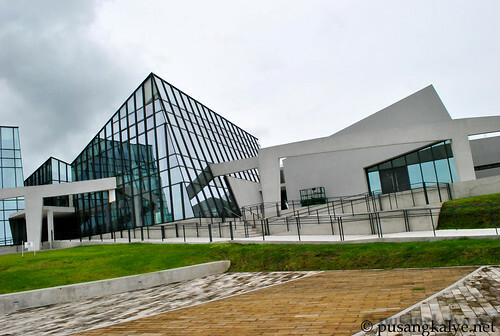 Astig yung mga architectural designs, modern na modern. 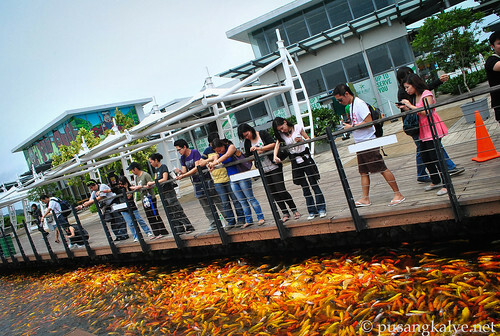 Kakatuwa din yung Gazebo for bird watching saka yung Fish Watching, daming gold fish at koi fish! Anonymous--yeah, we were also told of the planned facilities., really a lot of things to look forward to in this place. the wakeboarding facility would be one thrilling thing to look for. 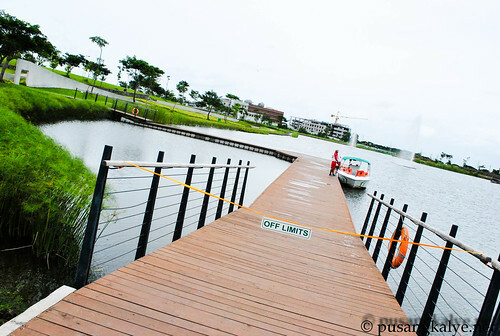 soon, people from Manila wont have to go to camsur to experience wakeboarding. you are lucky !!!! Ian ---indeed. and we know the reputation of Ayala land--they mean business. they can deliver. i really love the green features of some of the houses in Avida. 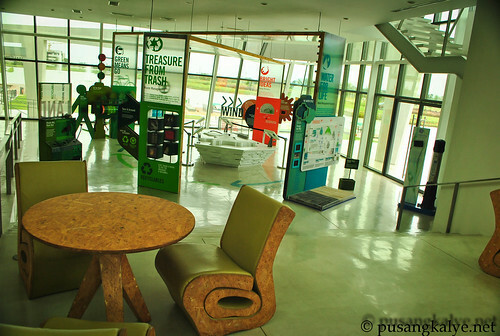 and so many eco-friendly features of the whole development complex. fiel-kun---ah-koi fish pala tawag don? diko lam. hahaha. uo. astig ang Nuvali eh. oldo maulap that time kasi katatapos ni Bagyong Juan. buti nakakuha parin ng decent photos to share with you guys. Ayos na ayos, pa-nuva-nuvali na lang ah hehehe. Sarap naman dyan, parang you have both worlds sa gitna ng Maynila. 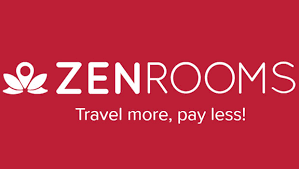 nice travel blog you have there..
Wow! Gusto kong pumunta dyan! Ayala na ayala ang itsura. Hahaha. Yung first building, parang siya din yung nagdesign ng school namin ah. Hehehe. Ams okay sa ganyang location ang mga ganyang klase ng building. 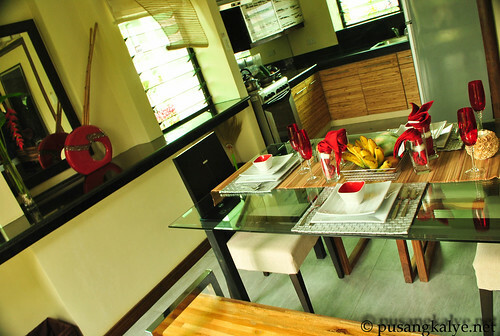 Village Nuvali where you can get a house and lot for as low as 1.2M. 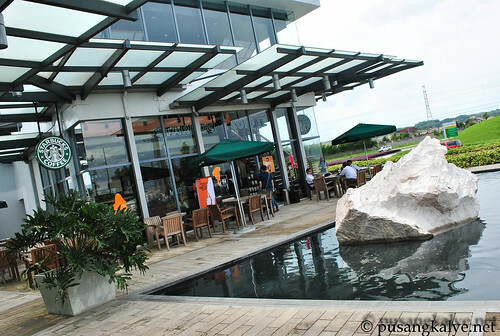 Very affordable considering it is inside NUVALI. True, sustainable developments are expensive at this point. Like all early technologies it's really more costly, i.e. 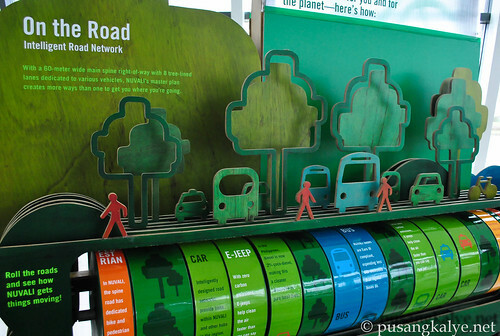 hybrid cars ect. It's a good thing that the private sector is doing the initiative to take that step towards developing a more sustainable urban space. NUVALI is not a government project and it was never designed to house/hosts the masses. 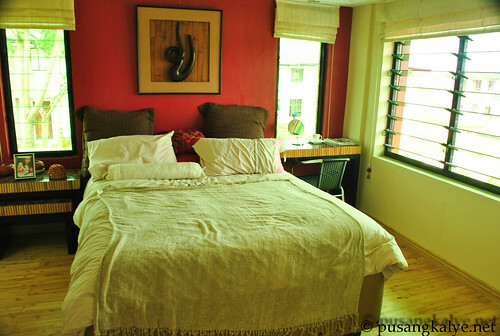 For mass housing we have Pag ibig sponsored projects for that which the government sponsors. Afufu, yala Group of Companies is one of the Best Developers, but, they have awful property specialists who screw buyers and investors. maganda pero buyers beware, maraming manlolokong Agente. 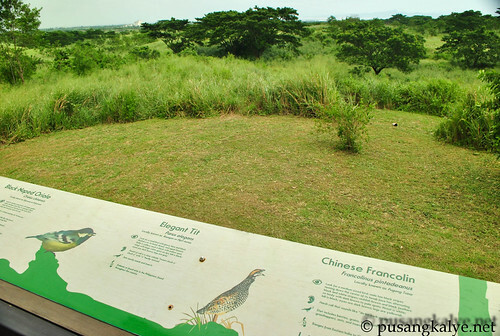 Nuvali has set aside a 17-kilometer long buffer green and forest zone which will serve as a sanctuary for wildlife and birds in the area. Thousands of trees are to be planted in this sanctuary, providing shelter to various bird species and making it the perfect bird watching spot. 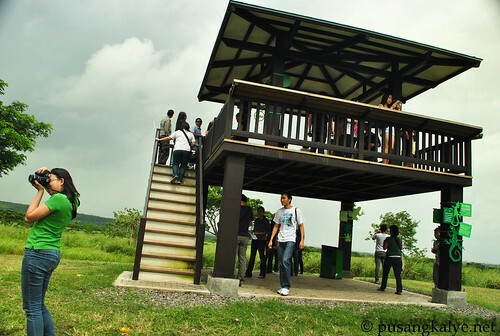 If you are a beginner, Nuvali is the perfect place for you to enjoy bird watching.